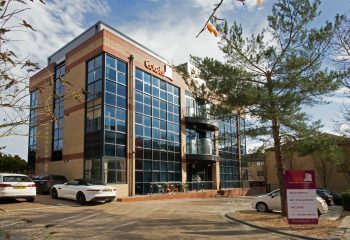 Cotels, a leading provider of serviced apartments in Milton Keynes, Northampton and Luton, has officially launched its brand new serviced apartment concept, 7Zero1, at 701 South Fifth Street in Milton Keynes. “Led by feedback from our existing guests, we have created 7Zero1 with a strong focus on wellbeing and fitness. This trend is as prominent as ever, particularly amongst business guests looking to combat the negative health effects that frequent travelling can incur. The new serviced apartment concept offers their guests a luxury stay. 7Zero1 has also partnered with nearby gym The Fitness Space Milton Keynes, to offer guests special membership discounts. 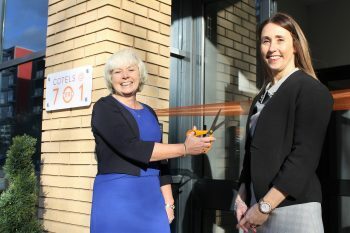 The branded self-contained serviced apartment building is made up of one and two-bedroom apartments with two penthouse suites, Turing and Webber. These were named through a social media competition, after key Milton Keynes figures. All apartments are finished to an exceptional standard with other key features including a fully equipped designer kitchen, Smart TV with full Sky Package including Sports and Movies, unlimited Wi-Fi, Hypnos mattress and hypoallergenic bedding and cotton sheets from The Fine Bedding Company. 7Zero1 is also the first serviced apartment offering in Milton Keynes to offer a secure 24-hour automated key collection facility, providing guests with easy, hassle free access with maximum security. Unique codes are provided to guests that can be used 24 hours a day, 7 days a week, making the guests’ journey to their apartment a stress-free process. Guests will also benefit from a YourWelcome tablet which will be full of useful local information, including maps, city guides and recommendations. 7Zero1 will operate under a leasing agreement with experienced property development and management company, Jadefine.